Whilst we are waiting for the new Samsung Galaxy S9 not launch we have some details on the company next flagship, the Samsung Galaxy Note 9. Previous rumors had suggested that the Galaxy Note 9 would come with a fingerprint sensor under the display. The Vivo X20 was unveiled recently with one of the first under display fingerprint sensors. 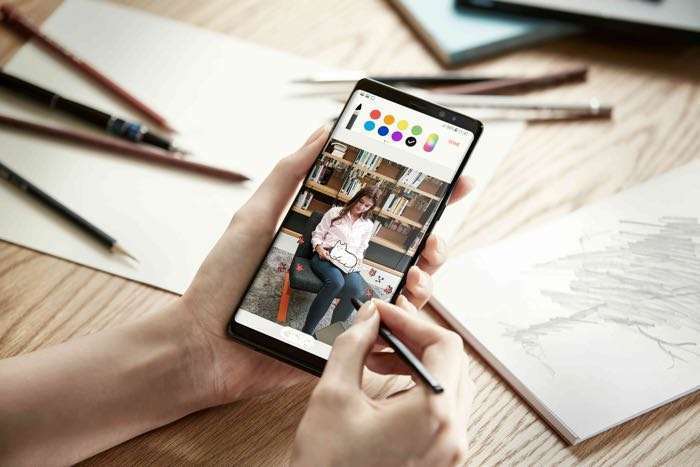 Now according to a recent report, this feature may not appear on the new Galaxy Note 9 when it launches later in the year. The Galaxy Note 9 will apparently use a rear mounted fingerprint scanner like the Galaxy S9 and Galaxy S9 Plus. The news comes from South Korea and apparently the reason that they have decided not to use an under glass finger print scanner is due to delays of the technology due to technical problems. There appears to be an issued with the accuracy and the durability of the under the display sensor that is being developed compared to a standard sensor. We previously hear that Samsung has some big plans for the Note 9 this year, this includes a new Samsung S Pen and more. We are not expecting to see the new Note 9 until later in the year, probably some time in August. The new Galaxy S9 and S9 Plus will be made official at Mobile World Congress later this month.